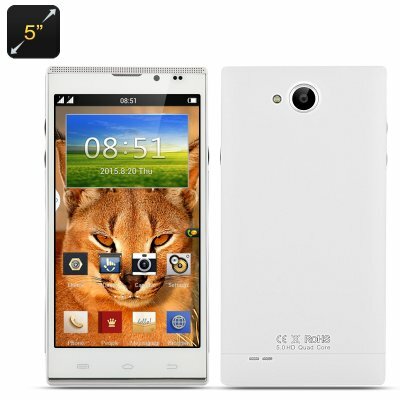 Successfully Added Android 4.2 Smartphone 'Caracal' - 5 Inch HD Screen, 1280x720 Resolution, MTK6582 Quad Core CPU, 5MP Rear Camera (White) to your Shopping Cart. 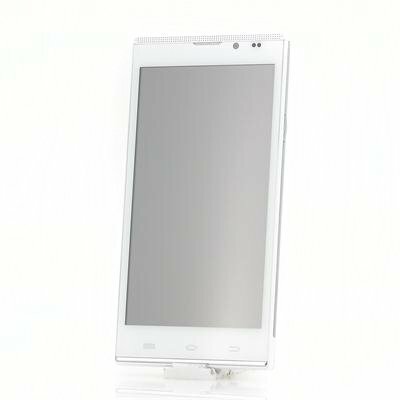 Lean back and enjoy this Android 4.2 Smartphone that is now being offered at a great wholesale price by Chinavasion. With a 5 Inch HD screen that boasts 1280x720 resolution, you can get the most out of your media as your videos and photos will look spectacular plus all gaming will be responsive as it also has a 5 point capacitive touch screen. Use the pre-installed Android operating system to create the environment you want or personalize the settings and install the applications you need to get the most from this phone. The latest quad-core Mediatek MTK6582 processor has allowed Chinese phone makers to create even higher quality, quad-core phones than ever thought possible and this phone comes with one built inside. The MTK6582 is such a great high performance, affordable, processor that big name brands have already adopted the technology. Being backed up with 1GB of RAM, this phone with its quad core chipset will present a performance that other phones in the same price bracket could never reach. Use the built-in 5 megapixel rear camera to catch those high quality natural shots of scenic environments or to take photos of your cat with a watermelon on its head. There is also a 2 megapixel camera that is ideal for taking self portrait photos on engaging in online web conversations. Save the photos or videos taken on the phone’s 8GB of internal memory or if that is not enough this phone supports a micro SD card of up to 32GB. Given the same name as a wild cat that lives primary in Africa, Asia and Indian, the Caracal smartphone is a real winning choice.